Hummingbirds symbolize love, joy, peace, happiness, and beauty. They are thought of as messengers of time as they can hover in one spot, fly backwards, or fly forward. They are the only birds able to fly backwards. Their wings move in a unique infinity pattern; thus, they also symbolize eternity. 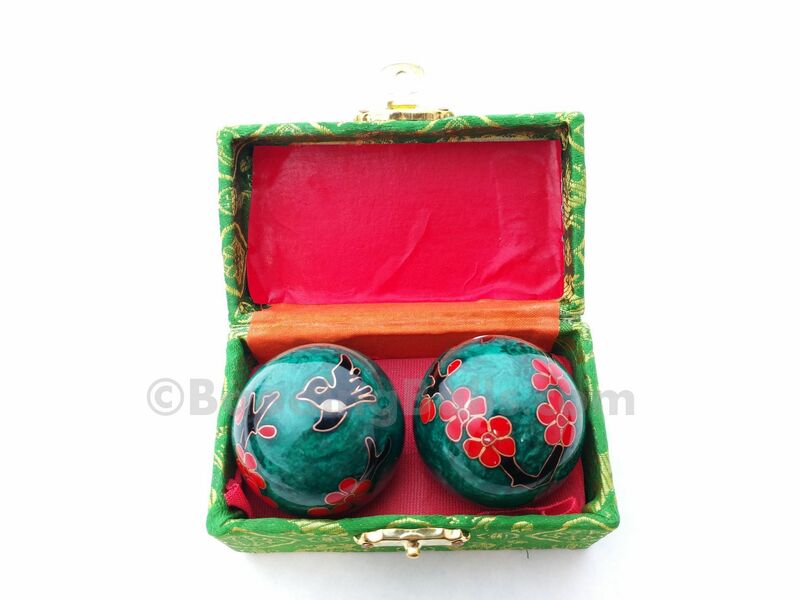 Hand crafted by elegant cloisonne enameling techniques. 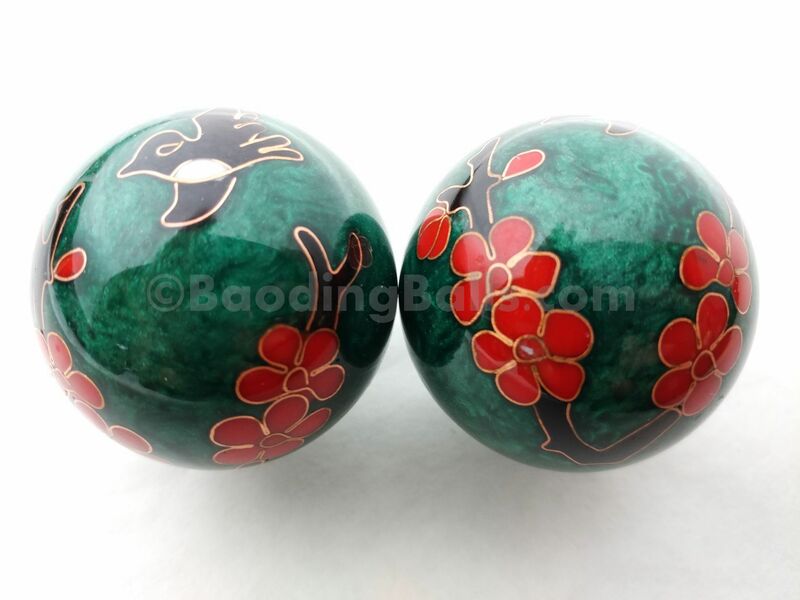 No two balls are exactly alike. Comes in a cloth covered box. 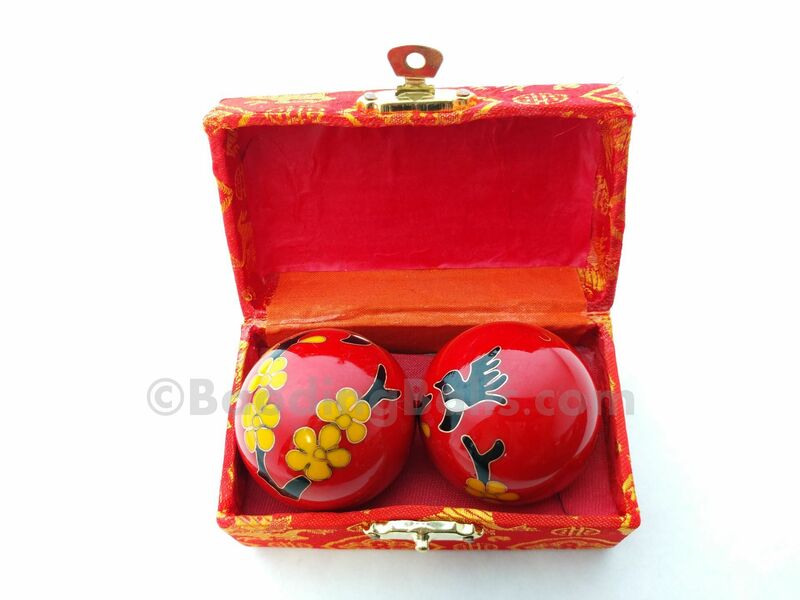 Also known as Chinese exercise balls and Chinese health balls.